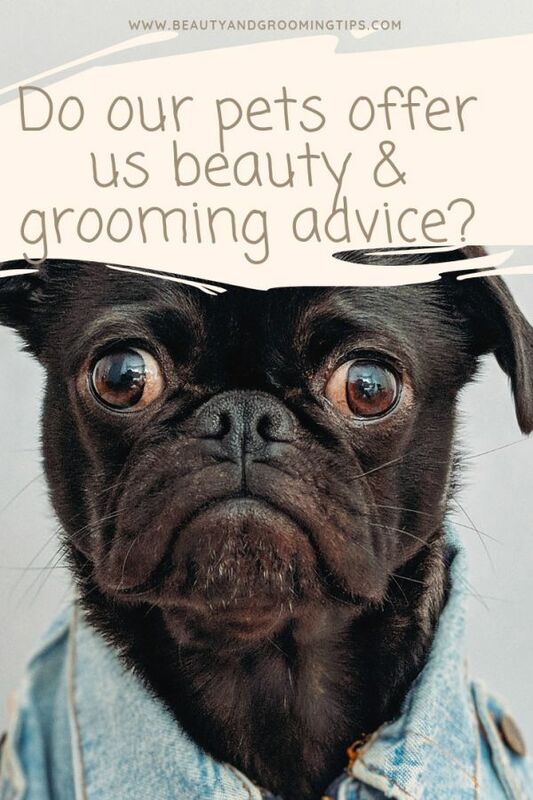 Do Our Pets Offer Us Grooming & Beauty Advice? When you think of a well-groomed dog, you may first imagine a French Poodle, actually they’re classified as a Standard Poodle, who often appear that way because they just got back from the groomer. But when you really think about it, most dogs and cats look absolutely adorable, practically all the time. That’s because they’re pretty well-versed at grooming themselves, especially felines, and they perform these routines on a regular, daily basis. But what do our dogs and cats know about beauty and grooming, after all, they’re just animals? As any pet owner or animal lover will tell you, they’re much more than that and their grooming habits and appearance are sometimes strikingly similar to our own. As women, we highlight parts of our eyes and some of our facial features to enhance the natural beauty of our chin, cheekbones and other sections of our faces. But did you ever notice how this often exists in nature, especially when it comes to dogs and cats. Certain dog breeds are often found with natural offsetting tones above their eyes, around their cheeks and even underneath their chins. Think about the face of a cat and how their stripes, dots and other markings enhance their facial appearance. While dogs can do little to trim their own nails, you’ll often find cats keeping their claws razor sharp by using a scratching post, or even a nearby tree. But an animal’s nails need attention so they can reduce the risk of having them become broken, cracked, ingrown and other painful problems. Though this isn’t too much of a problem for the two-legged population, keeping our nails neat and trim offer the same type of rewards. The majority of time, we’ll see our pets lounging and relaxing, but at the same time, we seldom see them looking disheveled because they’re exhausted due to a lack of sleep. Obviously we can’t spend the better part of our day snoozing and kicking back, but it still reminds us that getting enough shut-eye is an important part of looking, and feeling, better. While dogs and cats are not very ashamed when it comes to grooming their rear ends, they still keep this area very clean for a variety of reasons. Mostly it’s to control odor, but it’s also to ensure their bathroom activities stay regular and makes them less susceptible to infections and other problems. Humans should also keep those areas clean to avoid the same types of issues. They say you are what you eat and this is true for humans as well as their four-legged friends. Mass produced processed pet foods are coming under fire for their additives, lack of nutritional value, and unnecessary added ingredients like corn, gluten, soy and other products that only include them to meet guidelines set forth by government standards. We are what we eat is the same for animals as it is for humans. While some of these tips may seem obvious, they’re still important. It’s interesting to note that although animals may not be concerned about their appearance the same way as humans are, they still keep themselves clean and well-groomed as much as possible.